This Christmas marks me and Jonathan’s third married Christmas. THIRD. That’s crazy. As you probably know, we spent our first two years of married life living in Ohio, where we knew no one (at first) and had no family. It was extremely important to me that our house there felt like home for both of us. And for me, that meant some serious and intentional Christmas decorating. Our first year, we decided to cut down our own Christmas tree, so the day after Thanksgiving, with my visiting in-laws in tow, we drove 45 minutes away to do just that. We even named it Tenny, a nod to the state we planned to end up in. The next year, my mom visited as well, and again we made the trip to cut down our tree. Tenny 2. These trees were special to us because they were OURS. Jonathan sawed them down himself, and then I decorated them. 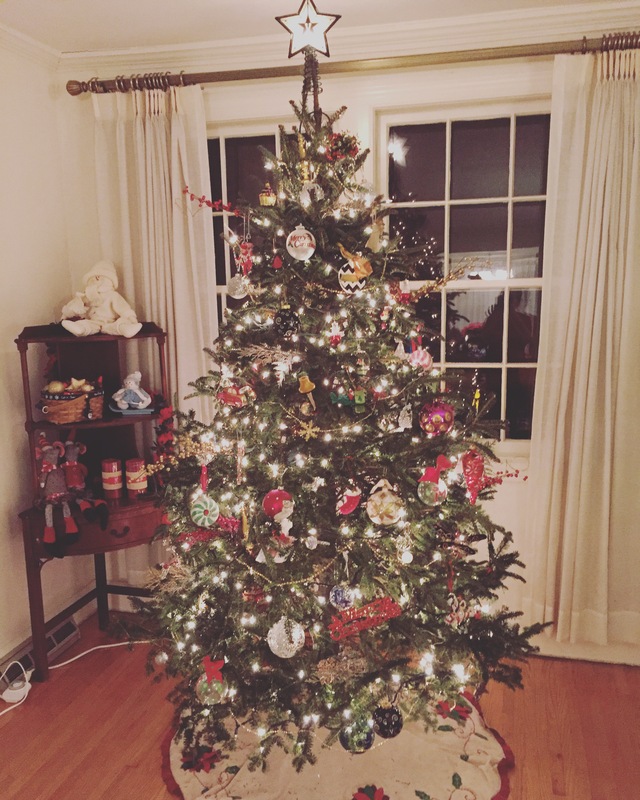 These trees made that house feel like home at Christmas, especially with all of the ornaments that represent so many memories from both of our lives. This year, we have been so busy with remodeling parts of our new house in Nashville that Christmas decorations became an after thought. But last weekend, we knew we HAD to go get Tenny 3. So we went to a tree farm, and no offense to Tennessee, but it DID NOT live up to the Ohio farm we had visited the two years before. 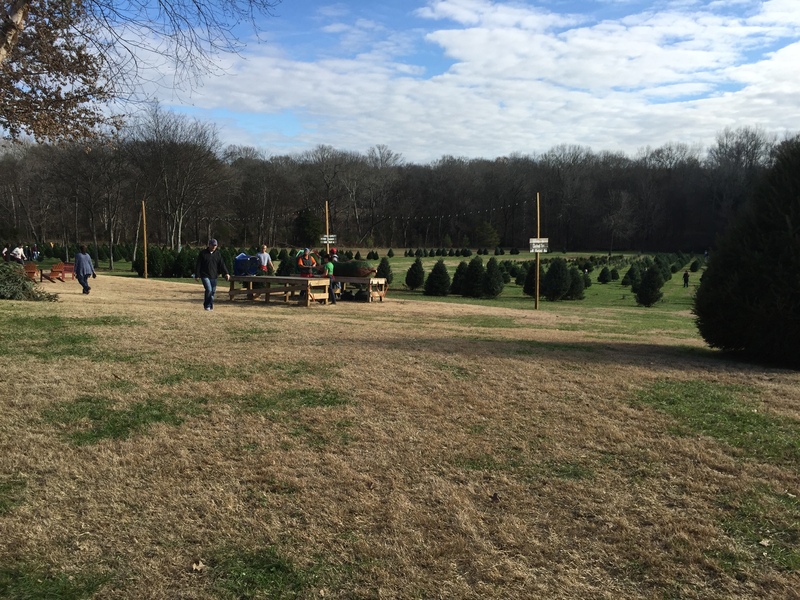 So after stopping a few places, we ended up buying a pre-cut tree (hey, we still went to a farm. we TRIED), and put it in our practically empty living room and decorated it. Tenny 3 is pretty much just for us. We aren’t having any parties this season, like we usually do. We haven’t invited friends over yet, because our house is still in pieces (but getting very close!). So it’s pretty much just us, enjoying it in the evenings, and watering it every day. It’s not technically as nice of a tree as Tenny and Tenny 2 were, but it’s just right for where we are in life: it’s just what we need. So cheers to all the Christmas trees that have sat in this window since 1949, and cheers to the many trees our little family will bring in. Merry Christmas! Previous postThanksgiving Recipes for All Your People.